We had a little rest after NYE and have been working on this event for pretty much the whole year since then. We hope that all our hard work has paid off and you are ready for the best FDR yet! DJ Sox, DJ Zinhle, DJ Cndo, Mono T, Culoe De Song, DJ Fisherman, KingSfiso, Coco Loco, Funky G, Mzo, Vumar, DJ Bongz, DJ Shimza, DJ Twitty and DJ Gukwa. Like NYE this event will feature a main stage and the Hip Hop/House floor. Expect a monster sound system on both floors, thanks MTN, lighting and some cool live graphics on the screens. About 150m of bar, 300 dedicated staff and 20000m2 for our 10000 friends to show SA how we do it…Durban style! There will be plenty ways to get your hands on some prizes with our Sponsors like Gagasi FM, eTV Club808, Sunday World, Sowetan, Castle Lite and of course our main sponsor MTN. 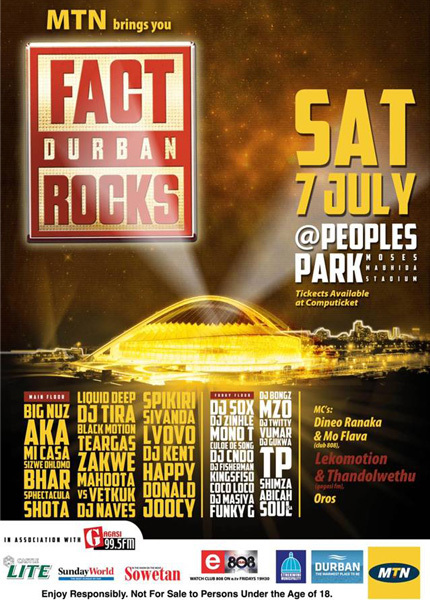 Keep up to date on our “MTN Fact Durban Rocks 7 July” Facebook event page or follow us @FactDbnRocks & @DJTira on twitter for all competition details. 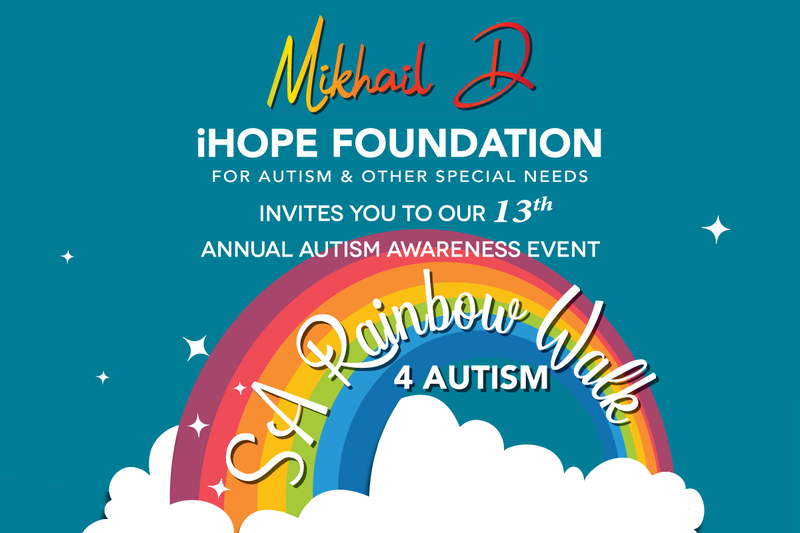 From 1 June you can get your tickets from Computicket for R170 (R200 at the door) or R450 for VIP (usually sells out). Last year we reached capacity by midnight (8000) so we have increased our capacity to 10000 this year. Bars will trade until 4am with a 2hour cool off period, music off by 6am. Please use the cool off period to get something to eat and some water or cool drinks which will still be available. “Mawufuna ukujaiva woze Durban” – If u wanna dance come to Durban! City: Durban, the warmest place to be!